I waffled about it for awhile, but finally decided to do some colourwork on my holiday sweater in order to use the yarn I have! I guess it’s been awhile since I did any stranded knitting, and I LOVE it! There are Norwegian stars on each of the sleeves. For the body, I used a smallish motif across the waist to change colours, so the lower body is blue. The one ball of blue should make the sweater long enough, and I still have enough teal for the buttonband. 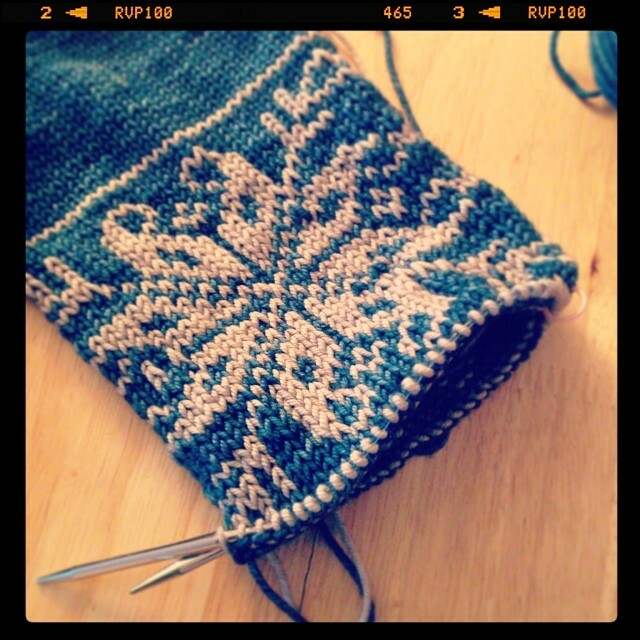 I love this so much….can’t wait to see the finished sweater! Oh, I love it! The colorwork is the perfect little accent to make this sweater “pop”! Hi Laura, I made same slippers for my son and had the same problem, I did do them a 2nd time and stood by my washer and they came out great, my other thought was to actually cut them take out a piece and rejoin but that just seemed like a nightmare so rewashing seemed a better idea and it worked and he loves them. I love the sleeve. I would so make that sweater! 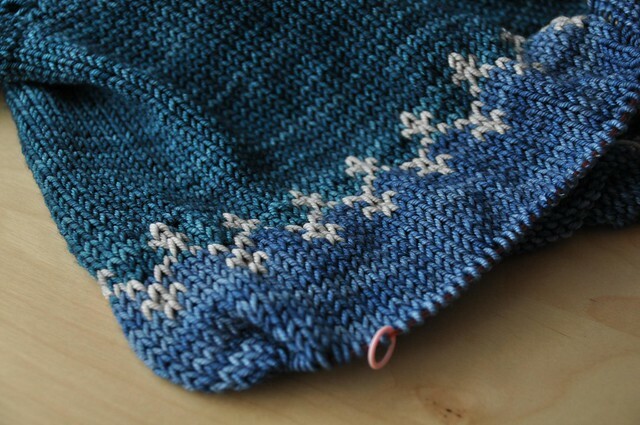 Love the snowflake sleeves (I saw the finished piece). 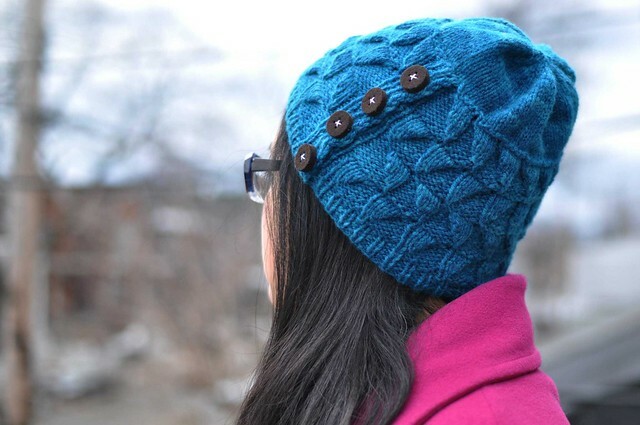 I really should make myself try some stranded knitting. You’ve sort of reignited that idea.